With developments to ensure available drinking water and safe sewage treatment for the Ahousaht First Nation, the coastal community is set to begin constructing over $16 million worth of improvements to its water infrastructure this year. This spring construction of a new wastewater treatment plant is scheduled to start - a federally funded project currently budgeted at $13.5 million. 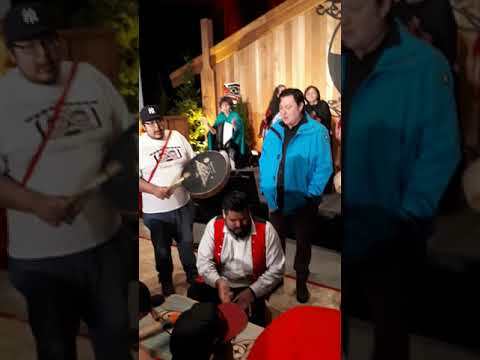 The wastewater upgrade will better suit the community, which has expanded by several neighbourhoods over the last generation, said Ahousaht Chief Councillor Greg Louie. Seamus Fran of Opus International, the firm tasked with designing the plant, said the wastewater plant is designed to meet Ahousaht’s significant growth projections over the next 25 years. “The designed population is about 1,400 people, and currently it’s between 800 and 900,” said of the growth projection, adding that the plant would have the capacity for expansion half a century from now to accommodate a reserve population of up to 2,000. Currently the existing wastewater treatment for the Flores Island reserve separates solid waste from the sewage. Effluent is pumped out into the Pacific Ocean, while solid waste collects in septic tanks until the matter is sent away to composting facilities every year or two. This has become a health hazard for the community, said Doug Neff, director of capital programs with the Nuu-chah-nulth Tribal Council, which is managing the wastewater treatment project. “The community has faced continual beach closures because of the water quality,” he said. Fran said the new wastewater treatment entails two stages, with the removal of solids followed by attacking the biological content in the effluent. Ultraviolet lamps in the new plant would disinfect effluent, while clarifying filters and large discs that paddle through the wastewater treat remaining organisms. With a deadline to have the system in place by the end of 2020, the treatment plant is required to meet Canada’s Wastewater Effluent Regulation and B.C.’s Municipal Wastewater Regulation. Fran noted that the piping that sends effluent into the ocean will also be extended much further offshore. As new sewer lines are installed, the existing piping from Anderson Creek that delivers tap water to the community is scheduled to be replaced as well. With a secondary water line to be put in place for backup, this federally-backed upgrade is set to cost $3 million. The improved system is intended to prevent failures like the water line break that cut off the community’s supply during the Christmas break in 2016.